Once a hub of chocolate manufacturing, Ghirardelli Square now features a mix of shops and restaurants within the former chocolate factory. 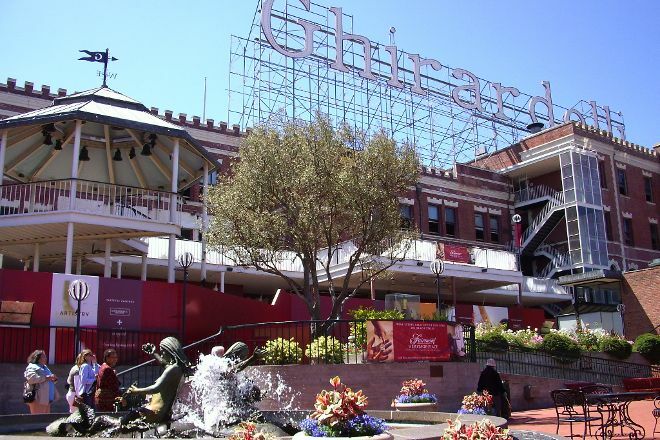 The real treat is the Ghirardelli soda fountain and chocolate shop where you can savor hot-fudge sundaes and stock up on the famous chocolate to take home. 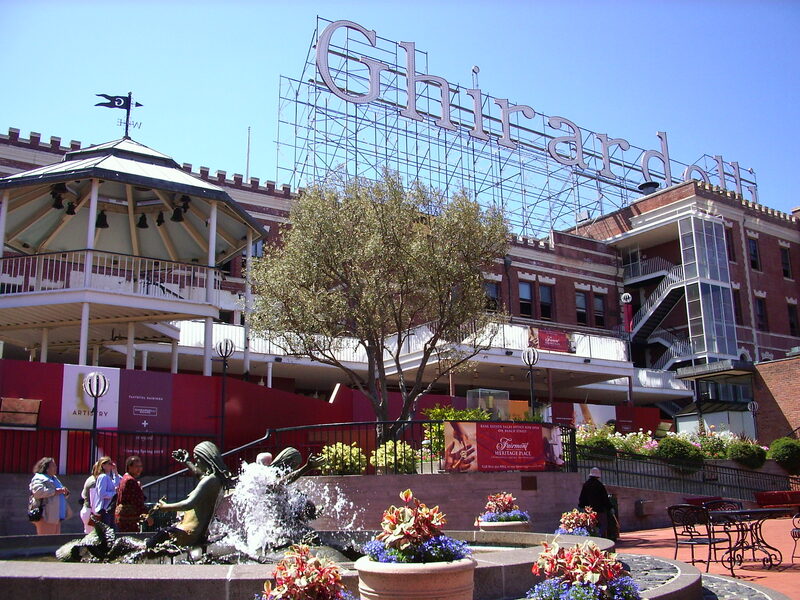 The Original Ghirardelli Ice Cream and Chocolate Manufactory is still here with the original equipment on display. With our world travel planner, San Francisco attractions like Ghirardelli Square can be center stage of your vacation plans, and you can find out about other attractions like it, unlike it, near it, and miles away. One of my favorite things in the world is chocolate so I thoroughly enjoyed my time here. I was greeted with a complimentary milk chocolate and caramel square and then I walked around and saw fresh chocolate being made. I was chilly so I ordered a hot chocolate and it was the most delicious hot chocolate I have ever had. I also got a cookie but the drink was so filling I couldn’t even eat it. I loved the mermaid statue in the square as well as the corn hole games the kids seemed to be enjoying. The double Ghirardelli shops are busy, chocolaty fun. Breathe in the sweet air. Order something from the awesome chocolate bar. Other interesting spots include Yap, with its variety of quality (and actually comfortable) pet accessories, and the pretty mermaid fountain. Great views of the wharf and harbor from some spots. Parking in the underground garage is simplest, but small vehicles rule in the tiny passages, and it's not cheap, even with validation.